Rowan, standing behind grass, waiting for the magical flying stick to soar over her head. I don’t really mind Mondays. I rather enjoy the knowledge that if there’s a mountain of stuff waiting to be done (and there always is, it’s called “Life”), I have a full five weekdays to get it tackled before the weekend hits. If you’re going to be inundated with work, having the time in which to not only attack it, but contemplate it and plan your approach, makes a significant difference. Monday mornings are my “take stock” time. In truth, I start the process on Sunday afternoon and evening, since I really am not fond of surprises and there’s nothing so surprising as hitting Monday morning and realizing that you were supposed to be somewhere important an hour ago. 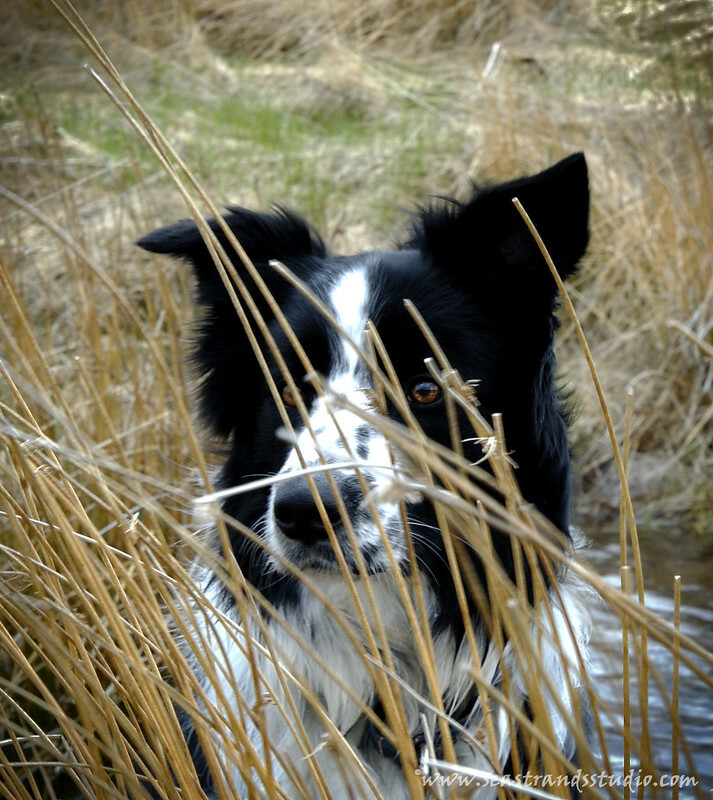 So on Sundays, I peak out from between the grasses of the weekend and watch for the flying sticks of Monday. That way, come Monday, I don’t have to duck.